Standing at Caterpillar Valley looking out to the fields sends shivers down your spine. It’s a surreal feeling knowing the very land you are standing on was once a bloody battlefield. The somber atmosphere and the countless graves of unknown soldiers is enough to bring grown men to tears. This year marks the centenary of The Battle of the Somme, New Zealand’s first major engagement on the Western Front. 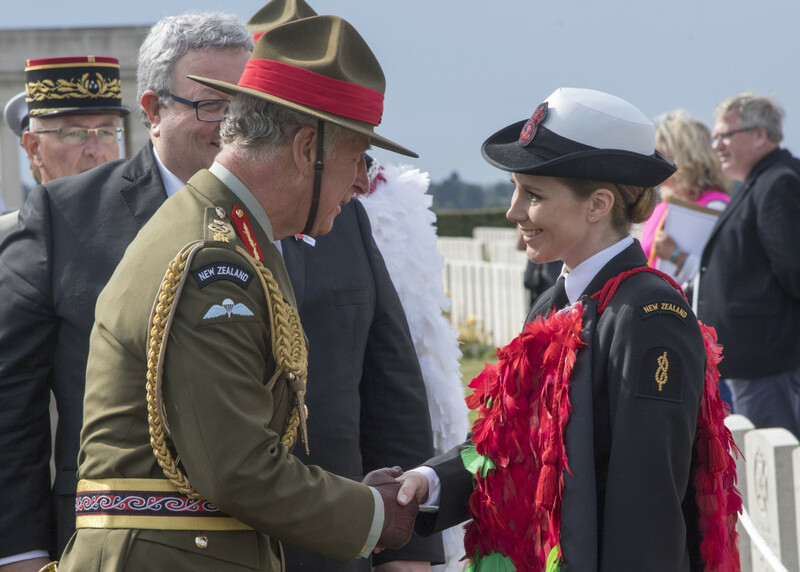 The New Zealand Defence Force sent over a 49 strong contingent to participate in commemorative services honouring those that served 100 years ago. 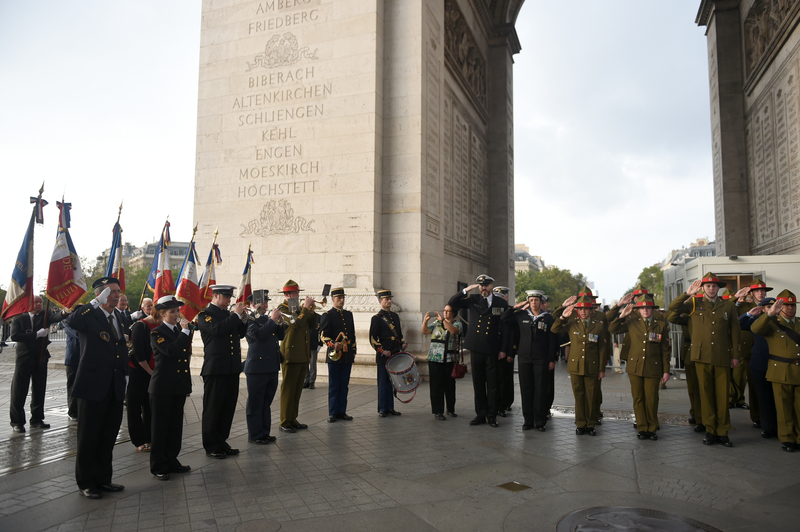 It was a huge honour to represent the NZDF at such an important commemoration. My role was to sing the New Zealand and French national anthems and perform a selection of waiata with the Maori Culture Group. 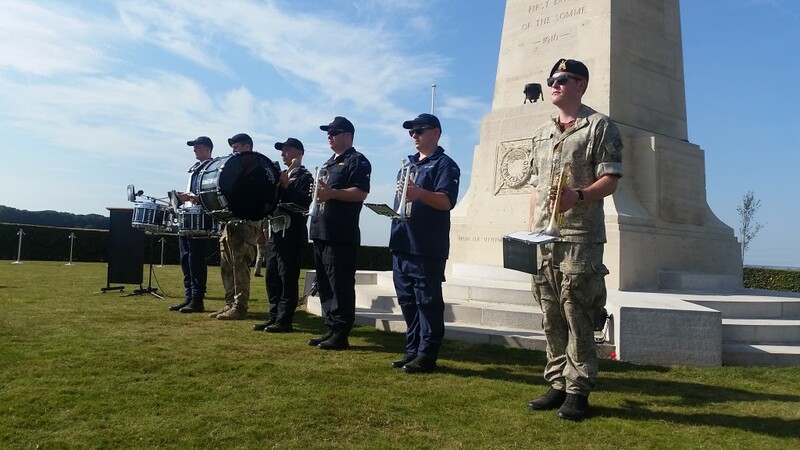 Our first official duty was to attend the daily service at Thiepval Memorial, hosted by the Royal British Legion in partnership with the Commonwealth War Graves Commission. The services are held every day from July until November marking the duration of the Battle, which lasted 141 days in total. The following days leading up to our main service consisted of rehearsals, learning more about our involvement in the battle, a little bit of sightseeing and of course eating our body weight in croissants and cheese. When I travelled to Gallipoli in 2015 for the Anzac Day centenary, I was lucky enough to share the experience with a very special man, Warrant Officer First Class Robert Jobe. He was entrusted with the task of designing and weaving a Kahu Huruhuru (Maori feathered cloak) for the New Zealand Defence Force. The cloak is known as Nga Tapuwae Kahu Huruhuru, Nga Tapuwae meaning “in the footsteps”. It has its symbolic origins at Gallipoli on Anzac Day 2015 and represents the link between those who served our country in the past and those serving today. 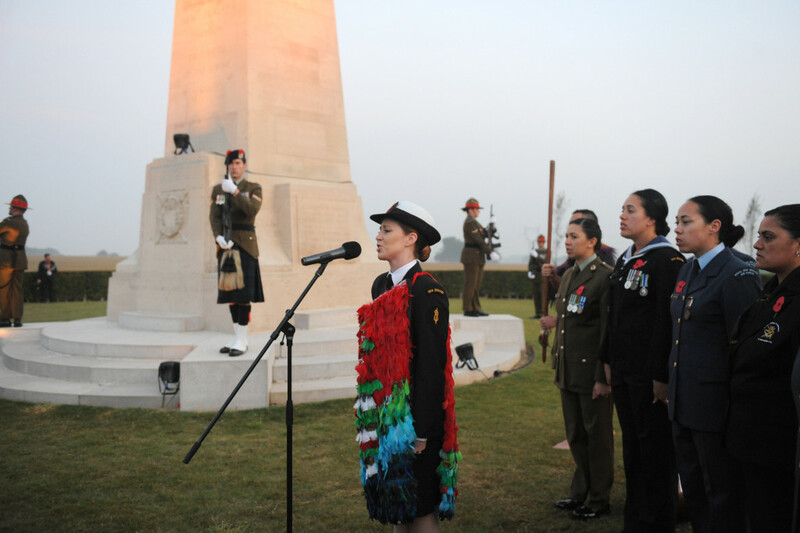 The Dawn Service at the New Zealand Battlefield Memorial Longueval, France. On the 15th of September I had the great honour of wearing this beautiful cloak in Longueval, France at the centenary commemorations for The Battle of the Somme. It was a very proud moment and as the first female and first junior rating to wear the cloak I was extremely humbled by this incredible opportunity. The day started with a beautiful dawn service at the New Zealand Battlefield Memorial. It was a quiet, still morning with a slight mist providing a stunning backdrop. We then had the main service at Caterpillar Valley which was attended by a number of foreign dignitaries including HRH Prince Charles. The Maori Culture Group walked him on to the cemetery and carried out a moving karakia. 10,000 poppies were dropped from the sky which we later found up at the New Zealand monument, it was breathtaking. 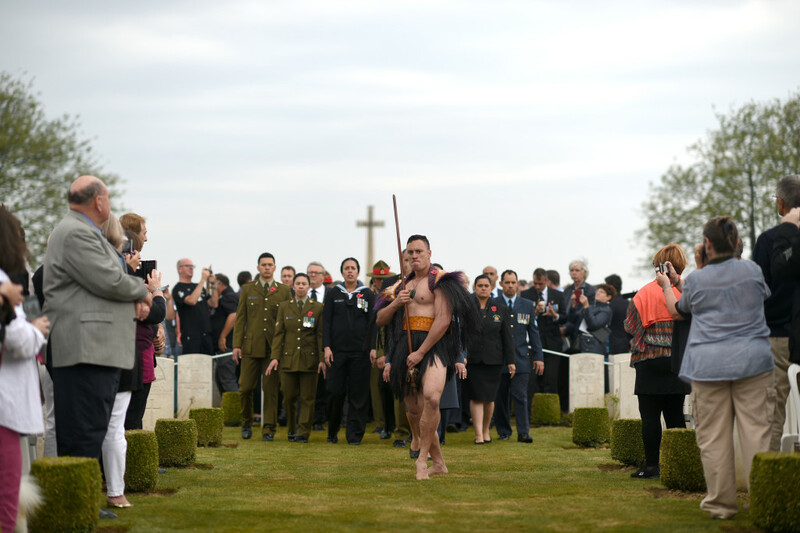 New Zealand National Commemorative Service to mark the 100th anniversary of the Battle of the Somme, Caterpillar Valley Commonwealth War Graves Cemetary, Longueval, France. After the service I was invited to meet Prince Charles. I was extremely nervous but managed to pull myself together. He was very complementary and said that he remembered seeing me at the ANZAC Day centenary in Gallipoli. He was also interested to learn how I was picked up by the RNZN while busking on the streets of Devonport. He was very down to earth and later joined the contingent for lunch. Before heading home, we spent a couple of days in Paris where we had one final engagement. We participated in the flame ceremony at the Tomb of The Unknown Soldier, located at the base of The Arc De Triomphe. A torch is rekindled every evening at 6.30pm and burns in the darkness to recall the sacrifice of an unknown French soldier who gave his life during World War I. It was very special to be part of this and singing the New Zealand anthem there is something I will remember forever. This was truly an incredible trip, shared with an amazing group of people. 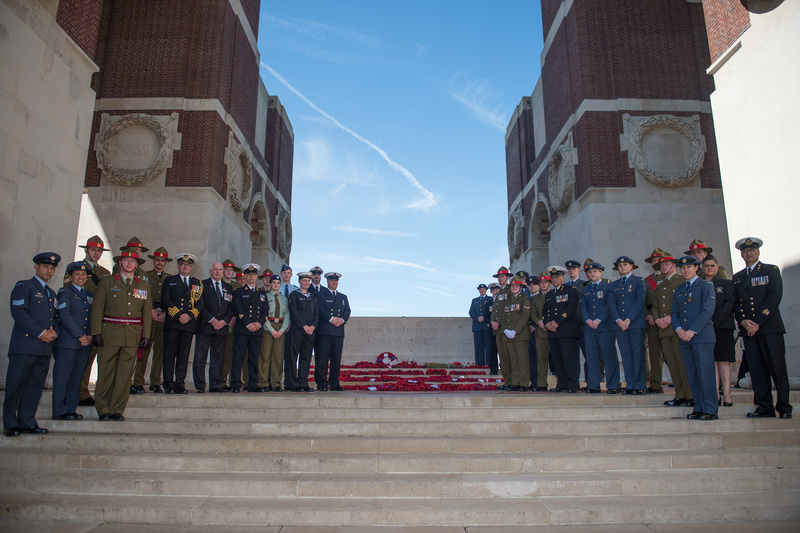 Each and every member of the contingent made a huge contribution to the success of the trip and did themselves and the NZDF proud. I am extremely grateful for the incredible opportunities I have had since joining the Royal New Zealand Navy and its always special paying tribute to those who made the ultimate sacrifice. Finally, there was one particular moment on this trip that really struck a chord with me and completely vindicated us being there. As we looked round the cemetery at Caterpillar Valley, where many of the graves are simply marked as “A New Zealand Soldier” as their identity is unknown, Dr Andrew MacDonald (our historian) quoted Sergeant Cecil Malthus. ‘Always, present in our memories, are the good friends who died in battle….Their various names are legion to every one of us…Who, when we are dead, will remember them?’ That important duty lies with us, and with the future generations. Ka maumahara tonu tātou Ki a rātou. WE will remember them.